A Brad Stevens-coached Boston Celtic squad will wrap up its eighth playoff series tonight against the Cleveland Cavaliers. The young coach will be leading his team into a “win-or-go-home” contest for the sixth time, the third against this opponent and its surpassing star. All half-dozen of those do-or-die games, ironically, have been scheduled for the TD Garden – two others have been ultimate seventh games in which both teams’ seasons were on the line. The C’s emerged victorious both times, over Milwaukee last month and the Wizards last year. 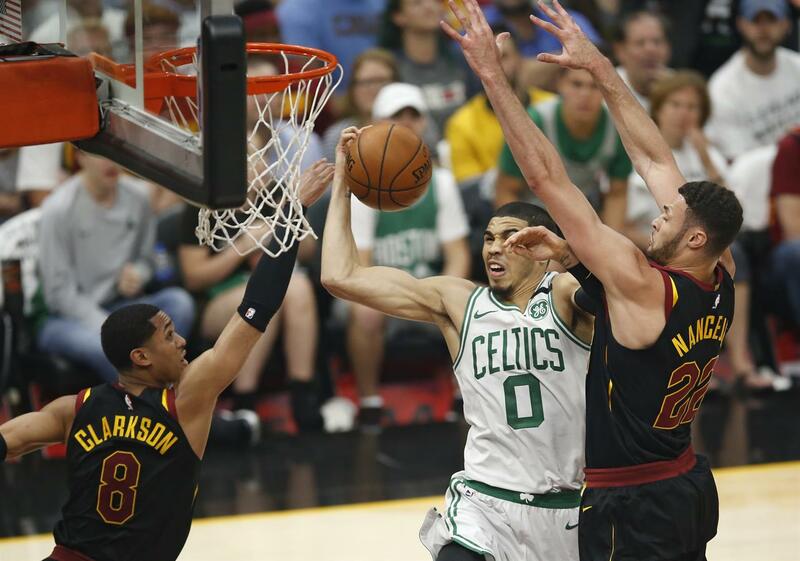 Al Horford’s Hawks turned back the C’s (Game 6, 2016), as well as these Cavs (Game 4, 2015; Game 5, 2017), bringing down the curtain on the past three seasons of growth and development. “Wonder Boy” Brad has had his club on the fast-track to the top since Day 1, striving to attain proper and intelligent play – every game an opportunity to learn how to win. Who’d’a thunk THAT five minutes into the season? LeBron James took eight Q1 shots, all deuces, connecting on four – even rebounded and “put back” one of his misses. It seemed to my eyes that Boston was attempting to push the ball quickly up-court on all possessions following an LBJ FGA, make or miss. On their seven scoring opportunities following an LBJ shot, the C’s recorded one turnover, one “one-and-done” and five successful FG’s (two of them treys). This seems to be a simple but sound strategy. James occasionally delays his transition from offense to defense for an admonishment to an official or teammate. All the C’s had to show for one ten-possession stretch was one measly FT – while the Cavs were sprinting their way to 15 points. How do you spell “desperation”? Cleveland spelled it Friday night with a 10 – 4 first-half advantage in second-chance opportunities (10 – 2 in “F-U” points). Brad’s boys got off to a bleak start to Q3, committing a shooting foul on four of Cleveland’s first six possessions and falling into a 16-point hole. Back-to-back treys in Q3’s last 40 seconds kept the Men in Green within shouting distance (10 points). The three-ball (5-for-8 for the period) had fueled a 27 – 18 Boston closing run. In Wednesday’s Game 5, Cleveland posted an Offensive Rebounding Percentage of .073. about one-third of the regular-season league average of .223. The Cavs’ OR% for Q4 last night was .636, about triple that league average – Boston was credited with but four defensive rebounds while the Lue Crew hustled their way to seven second chances. Cleveland’s second possession of Q4 was a four-shot flurry that featured three Offensive Rebounds and occupied 47 seconds of game time. There has been only one statistical area in which the winning team has held an advantage in all six games of this series so far. The winning team has shot FG’s better only three times. They’ve attempted more FT’s in but four games, taken better care of the ball four times and shot the long ball better only that often. 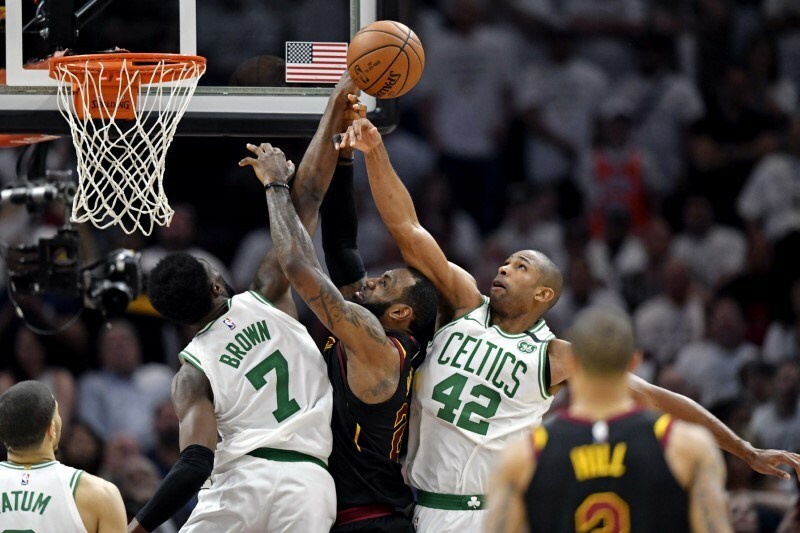 The one part of play in which the winners have consistently performed better this series is Total Rebounds – though Cleveland is averaging about three more boards per game than the Celtics.